Be the coolest parent on the block (and in the sewers) with your new mighty ninja skills. If you live in a Ninja Turtles household—you know who you are—you probably know that a brand-new, turtle-y awesome app is about to occupy your world. 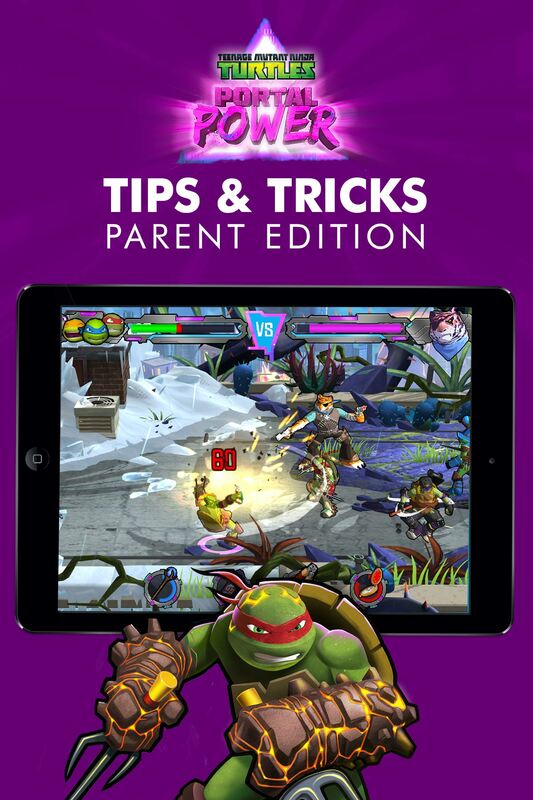 Great for kids and adults of any gaming experience level, TMNT Portal Power (available on iOS and Android) lets players punch, kick, power-up, and portal their way through outrageous dimensions. The goal: help the brothers stop Shredder and the Kraang from unleashing yet another diabolical plot. Your kids will want to play. You will want to play. Why not play together?! Take turns sharing the screen on a level-to-level basis, and impress the whole clan with your super sick moves. Co-playing TMNT Portal Power is the new family game night. 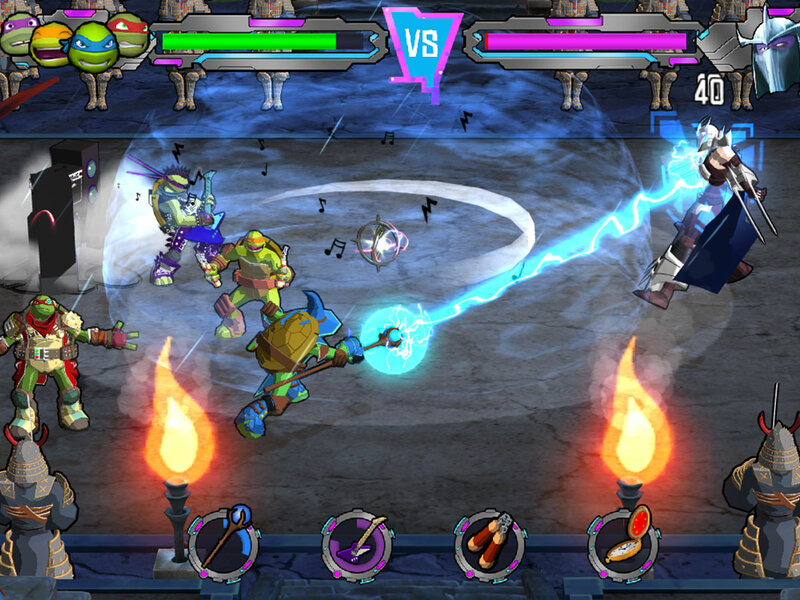 Special Abilities – Each turtle has a special attack that can be accessed with the button at the bottom of the screen. You’ll be tempted to use them all the time. Resist that urge: try saving them up so that when you get into a bit of trouble, you’ve got much-needed backup. Turtle Power – This builds up as you land hits on enemies without taking damage. I would use this anytime you get it unless you are about to enter a boss stage. Going into a boss or mini-boss stage with turtle power activated can be a big help. Team Up vs. Split Up – Teaming up your turtles is especially useful for retreating when an enemy comes at you with a rage attack. This usually happens when the enemy’s health is at about 50%. However, certain enemies in the game are more easily defeated by splitting your turtles up. Pay attention to the dialogue—it hints at these instances. Smash Things! – You should destroy every destructible object in the game! These include trash cans, AC units, and fire hydrants in NYC; barrels and crates in Frost World; and rock stacks in Magma World. 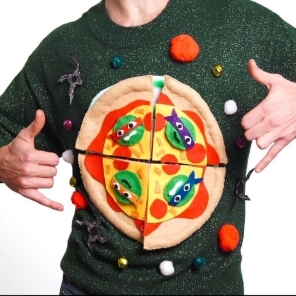 These objects reveal pizza as well as costumes, which will allow you to perform some of the most powerful attacks in the game. You don’t want to miss any of those. Costumes, Costumes, Costumes – It’s good to mix up your costume powers on each level. Use ones that can hit many enemies at once (like the Wizard Suit, the Space Suit, and the Skateboarder Suit) and some that do bigger damage to fewer enemies (like the Knight Suit, the Superhero Suit, and the Lava Suit). 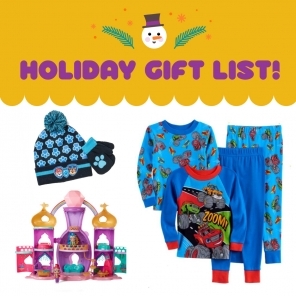 Some of our experts’ personal favorites are the Wizard and the Dino. Use one of these on each of the brothers in a boss fight so you can stun using the Wizard and hit using the Dino. Save up your Turtle Power! The new bosses can be brutal, but a few well-timed Turtle Power attacks will make short work of them. Try to have one ready when you enter each boss fight. You get a Turtle Power attack every time your combo meter reaches 50, so play smart and avoid hits from smaller enemies. Watch out for explosions! There’s a lot of blasting in the new area: not only do the Kraang start throwing grenades, but one of the recurring bosses has a tough-to-avoid missile attack. Grouping your turtles will make it easier to keep them out of the blast radius, so try pulling them together when the bombs start going off. 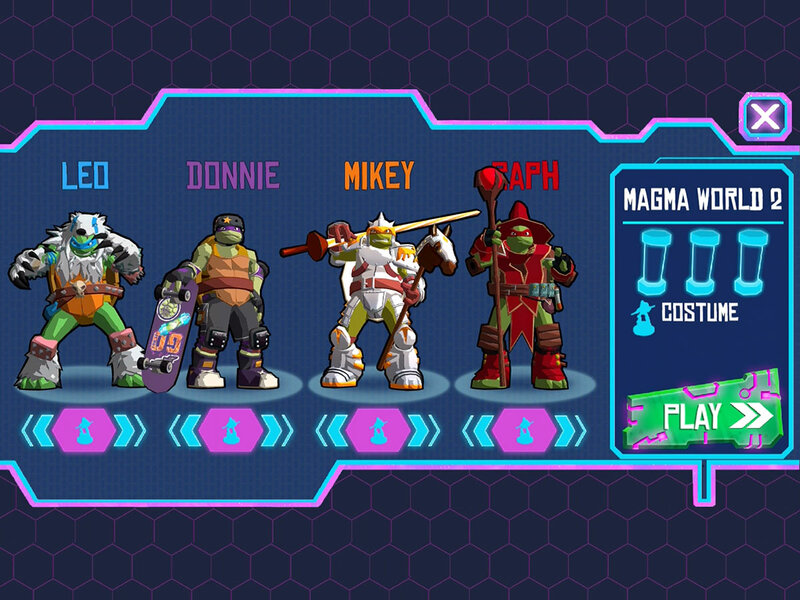 Also, remember that your turtles are invincible while doing special attacks, so time your specials to avoid explosions. Boss Strategy. When you’re fighting 80’s Krang and Kraang Subprime at the same time, focus on 80’s Krang first. He’ll go down fast, and you won’t have to worry about his attacks anymore. Kraang Subprime is a tough boss, but your best bet is to keep your distance and try to avoid his ranged attacks. Focus on the regular Kraang in the room to build up your special attacks, then unleash them onto Subprime! You are now armed with skills you need to play TMNT Portal Power. Use your new powers with great care; share them with your kids as you play together. 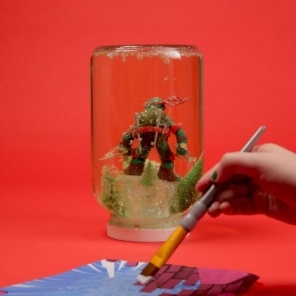 Be the Splinter to their Turtles. When parents join in on the fun, who knows what the family might discover together? Click here to download the app. For more about Portal Power be sure to follow TMNT on Facebook and Twitter @TMNTMaster.